Title, final and semi-final in Prague, Jablonec and Most, as part of Futures series and semi-final in singles in Prostejov. That’s the list of positive results, member of LOVE 4 TENNIS ACADEMY Uladzimir Ignatik has achieved recently. Points he earned at these tournaments are enough for his return close to the Top 200. Of course, he has further goals. Intentions of his coach Erik Csarnakovics are similar. 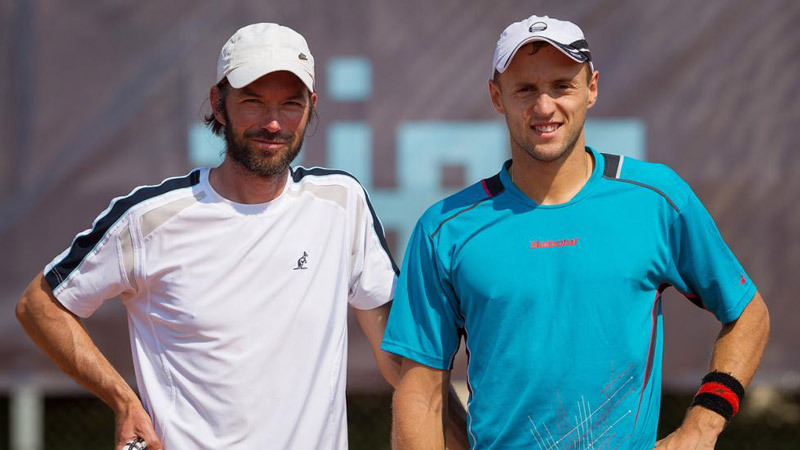 Ignatik is most satisfied with his performances at Prostejov challenger. “I didn’t expect such results and I am very happy about it. I played many matches, I had a good rhythm and overall I was prepared well. Lot of factors went in my favour, results speak for itself. I worked hard in trainings to improve my physics,” described Vlado reasons for his recent success. Every match in Prostejov was important for him. He lost in the semi-final against home based player Jiri Vesely. “He serves well. He had home advantage and more experience from difficult matches. No wonder, he is No. 46 in the world,” said Ignatik, who played well in Czech Republic, because he felt like at home there. “For me it felt like playing at home, there was good atmosphere. My mum was with me at those tournaments. I did not want to make a change and coaches from L4T rather did not come. Overall, I want to stabilise my performances and be able to reach regularly quarterfinals and semi-finals of challengers,” added Belarusian tennis player, who is currently playing challenger in Poprad. 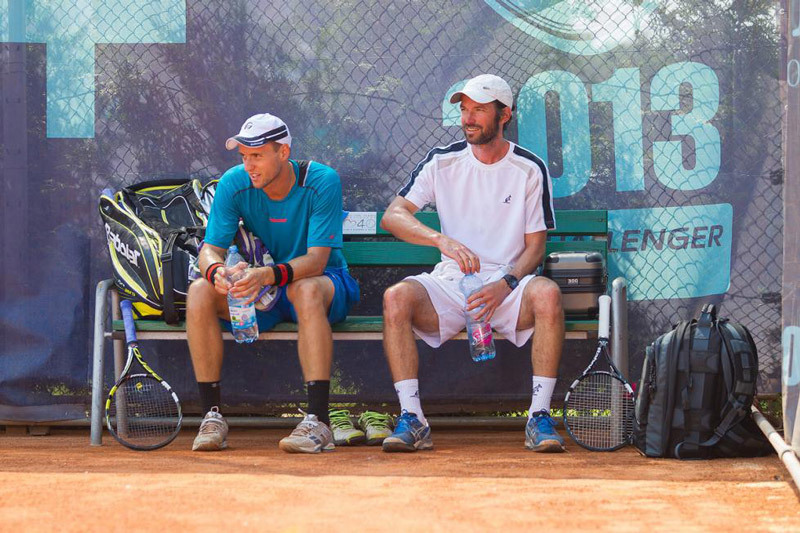 Head coach Erik Csarnakovics is responsible for Ignatik in LOVE 4 TENNIS Academy. Changes in the training process started earlier, Ignatik did not play at the Australian Open in January for a reason. 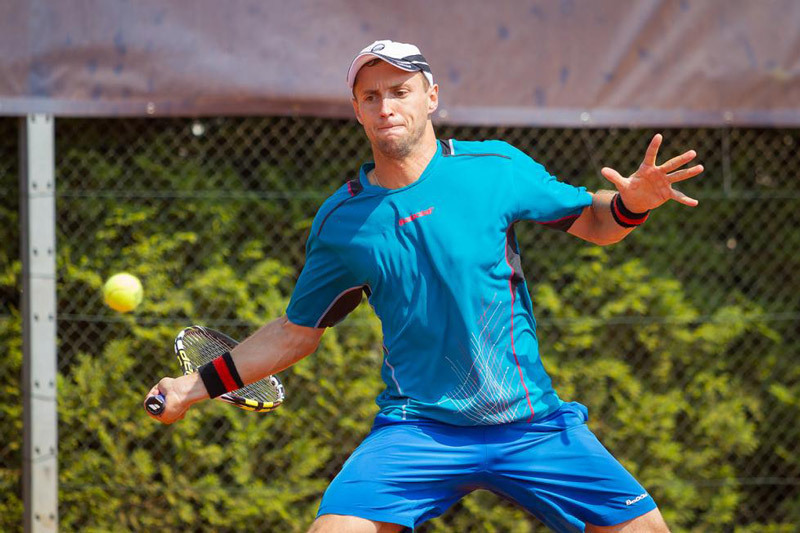 “Vlado rather played at indoor tournaments in Germany, where he likes it. At Futures tournaments, he can reach semi-finals anytime. There we have seen, what areas of his game need improvements. But we want him to play bigger tournaments. He usually lost in third set tie breaks at challengers. There was a good chance that he will improve at challengers as well but for long time, he could not do it. Until now,” explained Csarnakovics. Ignatik changed number of things, he lost weight, changed nutrition, there were changes made in his tennis trainings and in physical preparedness. Overall he is feeling better. “He won the first Futures tournament in Czech Republic, there were players which paly at the challenger level, too. His semi-final defeat in Most against Satral was his luckiest defeat ever, because otherwise he would miss the qualies in Prostejov,” said head coach, who is confident about potential Ignatik has. “I still think, he is not fully comfortable, at his highest. He can go further. Our goal is to reach No. 130 in the rankings by the end of the year,” concluded his coach.